Why is it important to check your papers for plagiarism even if you have written from scratch? Writing papers from scratch is the best way to avoid plagiarism. Many writers may not think about checking their content upon completion but it is possible parts of it could match up with something already published online. In some cases your content may not be considered original even though you had no idea it was already out there in similar form. Plus, this can help save time and provide assurance to your customer your content is indeed original and written from scratch. You may need to mak e changes to your work when certain parts of it are a match. This means you may need to reword or revise what you wrote to ensure the content does not match again. Many subject manners will have parts that happen to sync together and match on certain areas of the page. As they say, great minds do think alike but you don’t want to give the impression you copied content word for word. More customers are using software programs to ensure their content is unique. You can do the same, which may only take a few moments, and make necessary changes before your client even knows about. You can feel good that your paper is in fact original when you check yourself. There is a possibility of content you wrote being on another website in the same form. 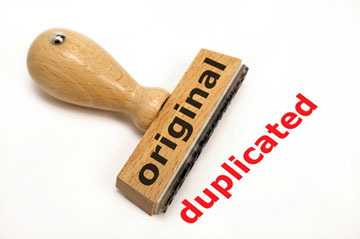 Because this can give the impression that you copied content as it appeared it makes it easier for you to make needed changes where duplication occurred so you can make the content unique. Even if the customer decides to perform their own plagiarism check your content should pass with no problems. You can reduce the amount of times content appears by making changes to make your work more original. Overall, you become more aware of what is being written for a topic or subject. From a writers standpoint you learn how certain pieces of content often appear in the same area on a page. Some writers are amazed to learn their content may have a match when the least expect it. You can save yourself from accusations of copying someone else’s content when you make changes before they are noticed.